Oil and gas environmental policy and regulations are intricate and interconnected. The fact that most assets are affected by a combination of federal and state air quality regulations further complicates the situation. It’s not uncommon for this to lead to the avoidance of reaching and maintaining compliance. Avoidance is a temporary solution and a detrimental strategy if, acquiring more assets and expanding, divesting and reorganizing, or going public is your company’s goal. 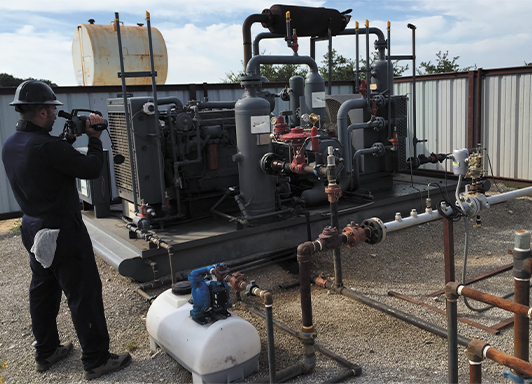 Proactive placement of standard operating procedures to ensure environmental compliance sooner than later will prevent a lengthy and costly period of compliance catch up. OTA Environmental can assist with pragmatic cost efficient but effective compliance products and services that in turn will help simplify the environmental compliance process. Our strategy places our clients in a knowledgeable, compliant, and confident position while allowing them to maintain operational flexibility. We take your company’s needs and requirements into consideration and tailor your environmental compliance program to fit your strategy. 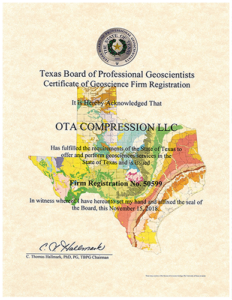 OTA’s diverse environmental compliance products and services will help you save time, effort, and money while reaching and maintaining compliance with federal and state environmental regulations. Taking a reactive approach to regulatory compliance immediately places one in an exposed position due to the strict nature of said regulations and the cascading violations that could result.